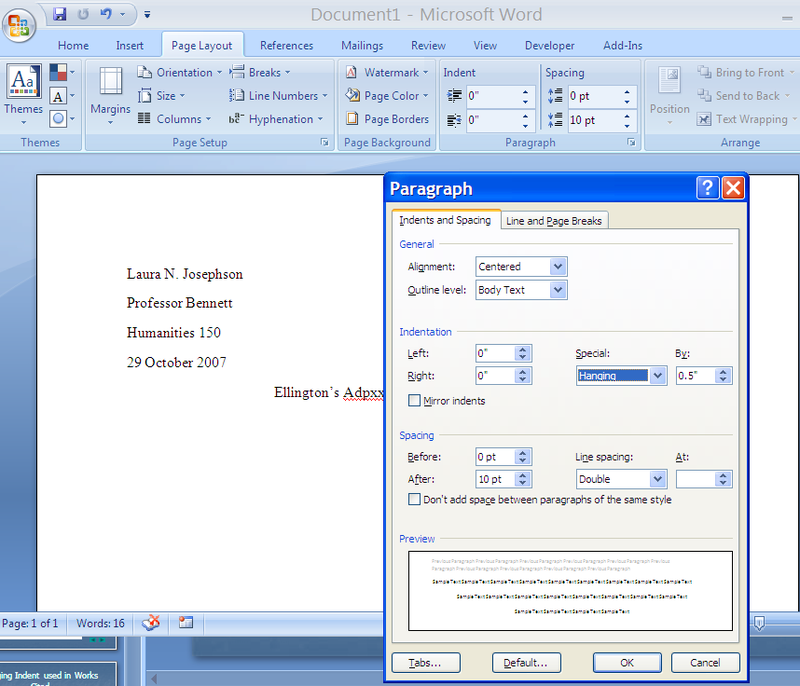 Download "Formatting a Document in Word using MLA style"
7 Word 2007 & 2010 Set margins 1 top, bottom, both sides Set margins for NORMAL. 16 Double space and enter the title. Capitalize the 1 st word, last word and all principal words. 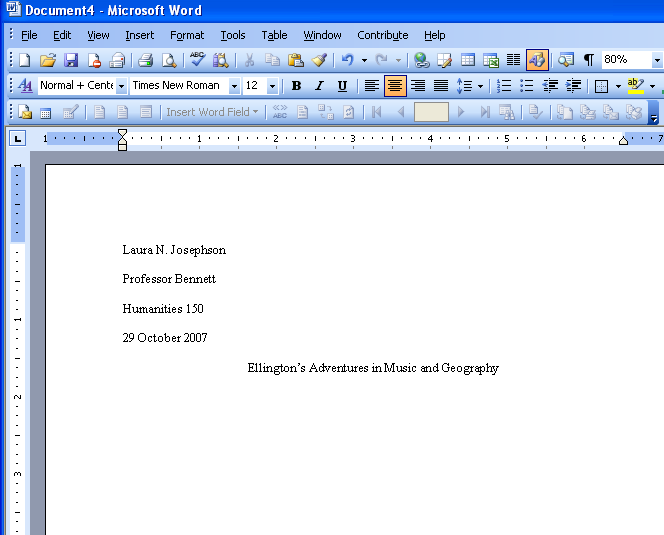 Double space after the title and begin typing your paper. Follow all punctuation rules in Chapter 3 of the MLA Handbook. 18 Place cursor to the left of the number, space, then type your last name Then close Header Your last name will appear on each sheet and the pages will be numbered 1, 2, 3, etc. 21 Automatic page numbering other Word versions Move the cursor to the left side of the number, space, then type your last name. Your last name will appear on each sheet and the pages will be numbered 1, 2, 3, etc. 24 Charts, Graphics, Illustrations Must be labeled Must give the source of the information Double spaced Appear close to the related text See Chapter 4 of MLA Handbook for Writers of Research Papers 7 th ed. 25 Spelling, Punctuation, Grammar Essential that your completed paper be read as you intend Use Chapter 3 in MLA Handbook or use Writing Guide link in library web page Or use writing text for ENL class MLA has specific rules about using numbers, capitalizing, spacing after periods, abbreviations, outlining, etc. 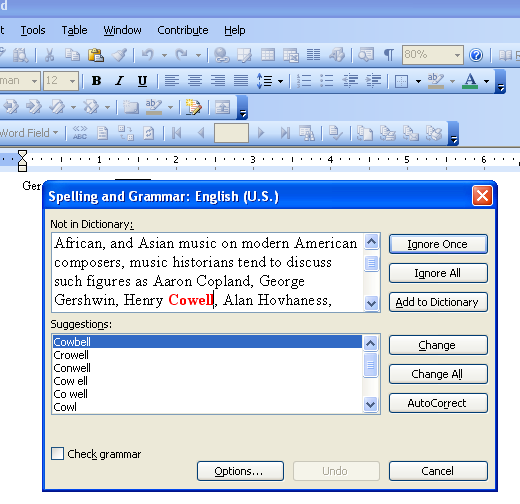 26 Use Spell/Grammar Check Word 2007 & 2010 Red lines mean spelling error according to the Word dictionary. 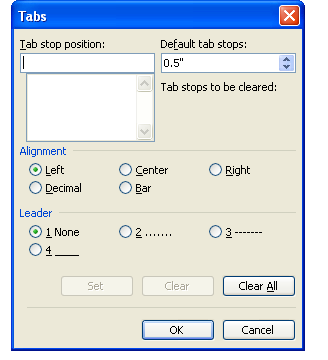 The spelling may be correct, such as people s names, but the program is checking and bringing it to your attention. 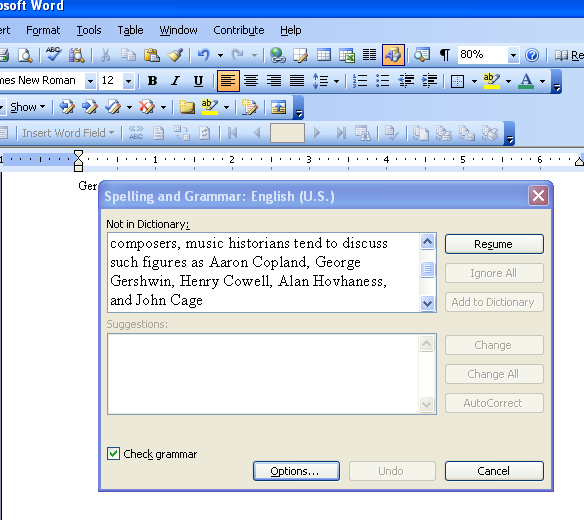 Green lines indicate a grammar problem and the program will give you ideas to correct the sentence. 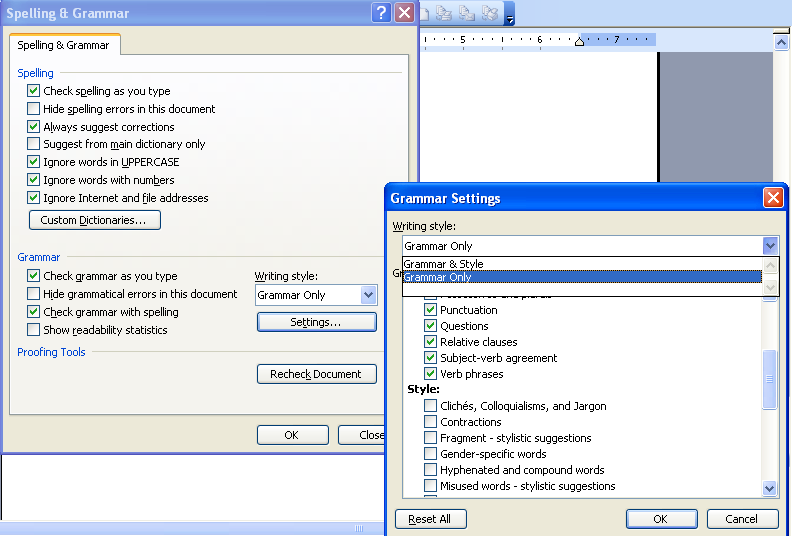 27 Use Spell/Grammar Check other Word versions Red lines mean spelling error according to the Word dictionary. The spelling may be correct, such as people s names, but the program is checking and bringing it to your attention. 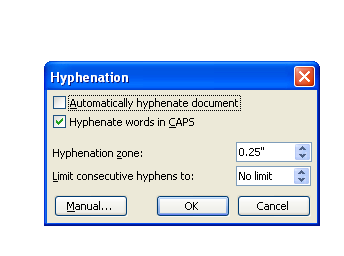 Green lines indicate a grammar problem and the program will give you ideas to correct the sentence. 29 These are the selections available. 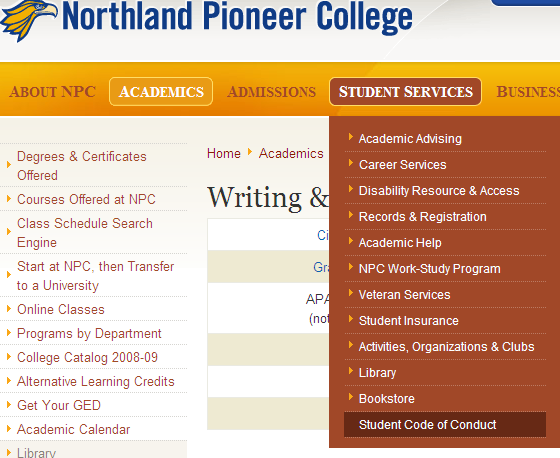 Be sure to click on OK to save any changes. 30 Choices are given if you agree the spelling is incorrect. In this box you can change the word. You can also click on Ignore if you are satisfied with the word or grammar. 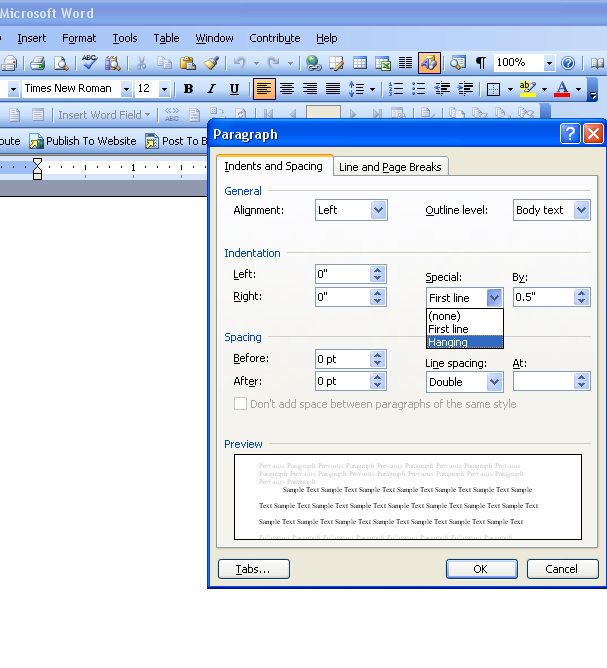 If you want to add a word to the program s spell check dictionary so word is accepted in the future, click on Add to Dictionary. 41 Writing without plagiarizing What is plagiarism??? Using someone else s ideas, information without acknowledging (citing) that person s work. Passing off another person s ideas or expressions as your own. 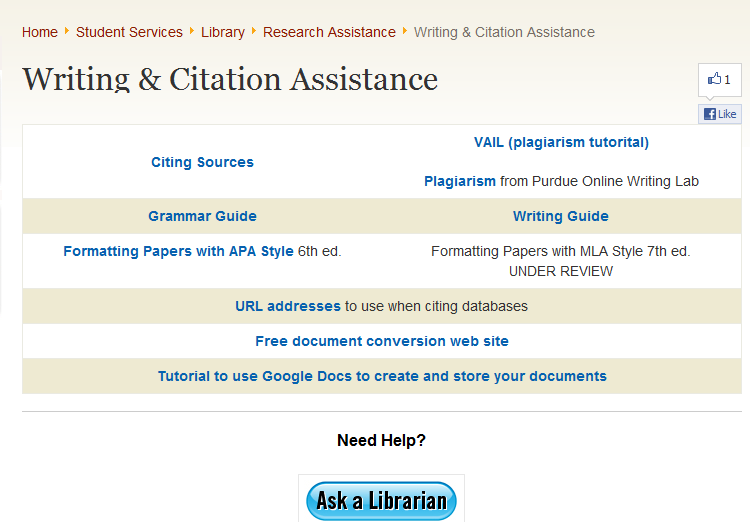 MLA Handbook section Help is here! 43 Other Research Sources Television or radio broadcast Sound recording Film or video recording Performance Musical score Visual art Interview Letter Digital file USE MLA Handbook 5.7 section for help citing these specialized resources. 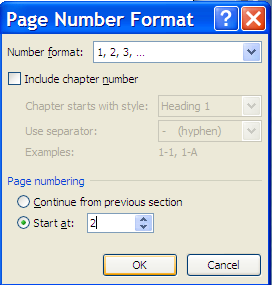 Running head: WRITING AN APA PAPER 1 Commented [BMLJ1]: Pagination begins on this page, the title page. 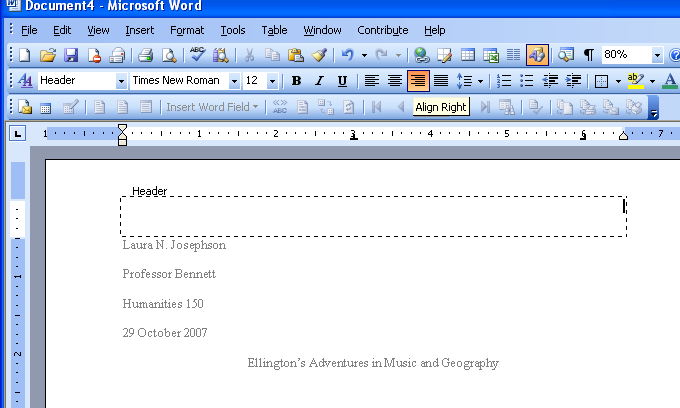 Commented [BMLJ2]: Use Times New Roman font, 12 pica, with double-spacing throughout your paper. 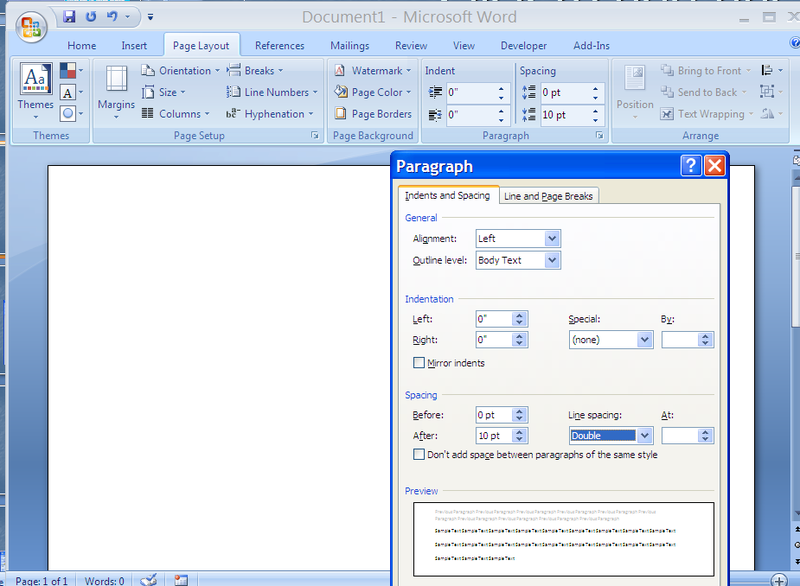 Microsoft Word 2010 Basics 1. 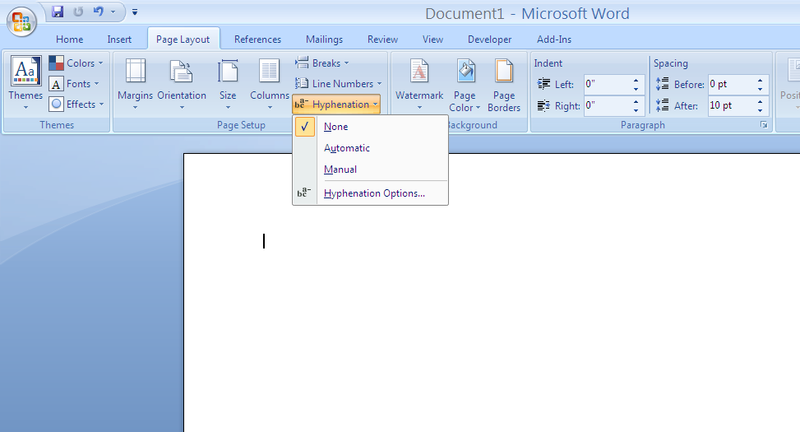 Start Word if the Word 2007 icon is not on the desktop: a. Click Start>Programs>Microsoft Office>Microsoft Word 2007 b. 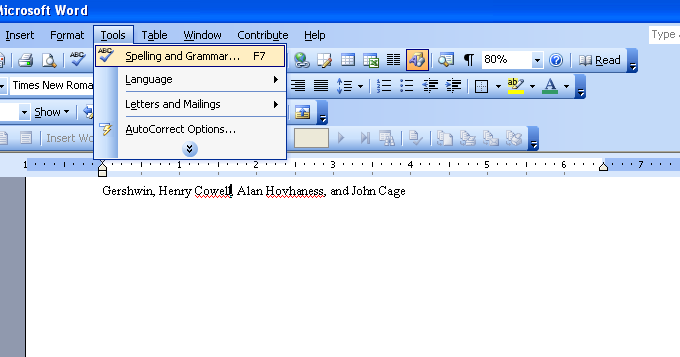 The Ribbon- seen across the top of Microsoft Word. 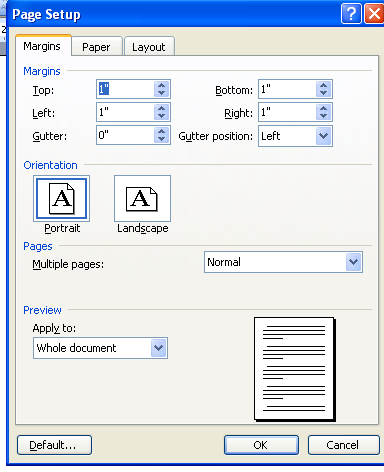 Create a report with formatting, headings, numbers and table of contents MS Office Word 2010 Combine this model with instructions from your teacher and your report will be something you can be proud of. 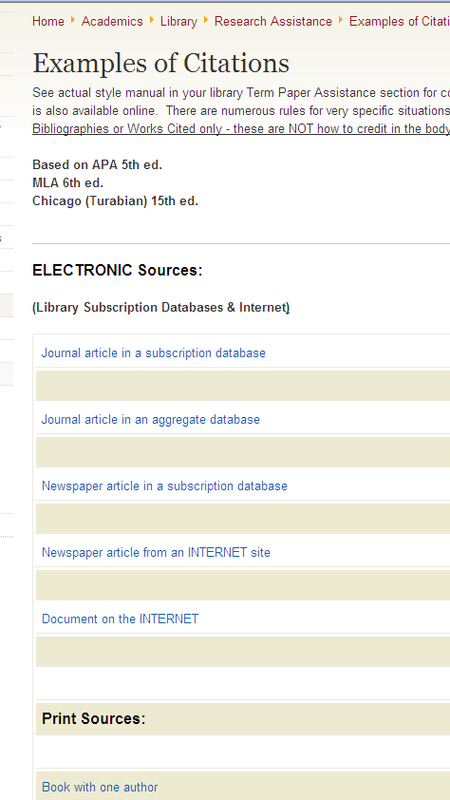 MLA Citation Style. From the MLA Handbook for Writers of Research Papers, 7 th ed., 2009. 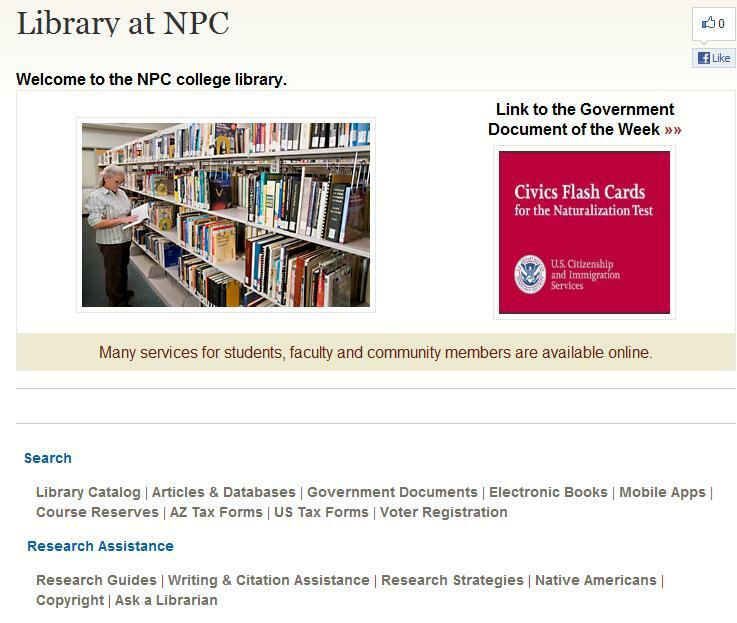 Running head: UWC Sample APA Format Paper 1 UWC Sample APA Format Paper Yourfirstname Lastname East Carolina University UWC Sample APA Format Paper 2 Abstract This is your abstract page for your APA paper. 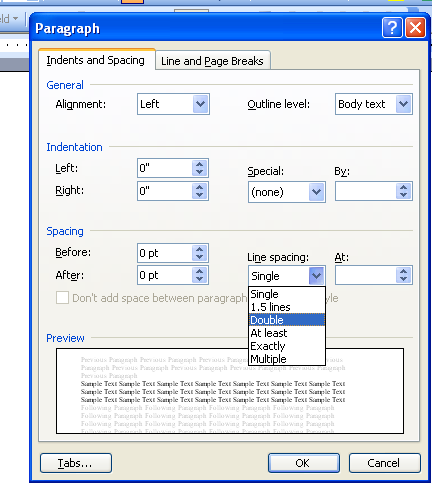 Text Margins 1 inch all around Typing -Do not break (hyphenate) words at end of a line.